So as all of you know I”m rather fond of circular knitting. If I can find a way to avoid seaming then I’ll happily side-step it! When you are working a big circumference it’s easy – you just get a circular needle that’s the right size and away you go. However it becomes a bit trickier once you move on to smaller circumferences. There are a huge amount of options out there and everyone has their own favourite. When I write a pattern I usually give a few different options for working small circumferences but as I haven’t written a tutorial on this before I thought it was possible that you may have not tried out the different types. I’ve done a small video for each and given a few pros and cons that I’ve found of using them. The best advice I can give you is to try a few methods out to see which works the most comfortably for you. This is probably my favourite method of working in the round. I like that there is only one needle, so if I’ve been working on a garment I’ve already got the correct needle to hand. I find that I can pick up a bit of speed with it with a flexible cord that’s long enough I don’t get any ladders. Some knitters really dislike the cord loops on each end and find that they get in the way. If this is you you might move on and take a look at some of the other techniques. 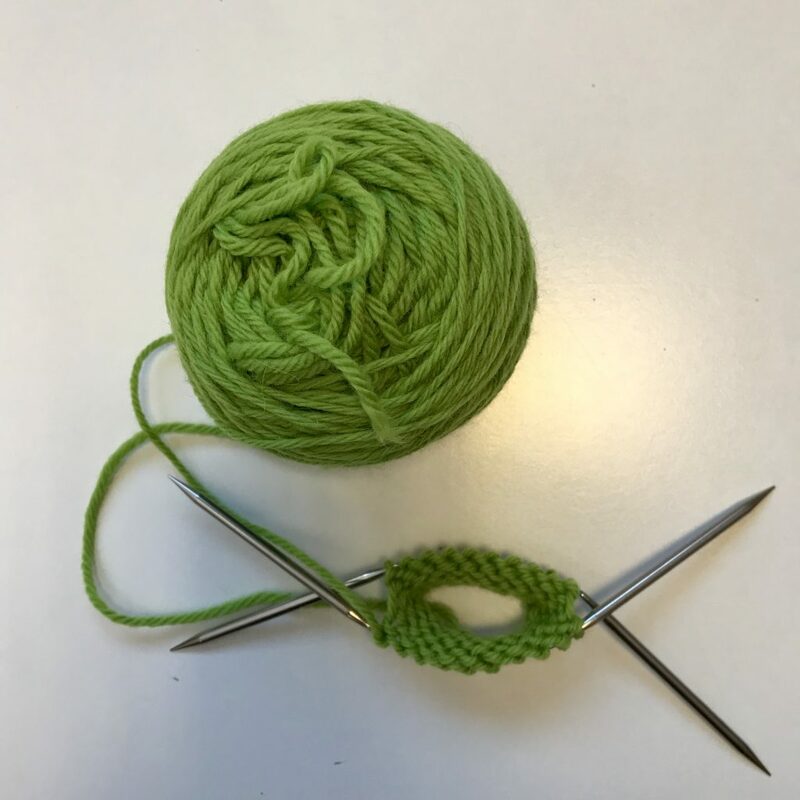 This is a very useful technique if the circle you are trying to knit is a too big for the magic loop and doesn’t quite fit onto a single circular needle. This allows you to work half of the stitches comfortably on each needle. This method of working in the round is probably what most knitters are familiar with. If it’s something you’ve worked before then it may be the circular knitting style that you graviate towards? I find working so many needle tips tricky, I seem to be constantly stabbing myself in the hand! It does also require the purchase a a different set of needles. I’ve recently got hold of some of these needles to try out (and added them to my shop here). These are almost a mix between magic loop and dpns. You have 3 very short circular needles, half of the work is held on each side and then the third needle is what you are working with. It does have less tendency to slip around than dpns due to the cord allowing the knitting to sit on it but there are still quite a few needle tip points that you’re working with. If you aren’t happy with either magic loop or dpns then perhaps these might be worth a try for you? This doesn’t work in a really small circumference, but it’s how I prefer to work sleeves in the round. I use 2 sets of shorter circular needles, but work ALL the stitches onto each needle. I knit onto one needle, and then work all the stitches onto the second set. This becomes my ‘round’ marker, so I can easily track for shaping. It’s less futzing around and I’ve never gotten ‘ladders’ with this method, which has occurred when working half the stitches on two needles. Thank you for the video and tutorial. Do the Flyers help eliminate ladders in your knitting? They can definitely help but you do need to keep the joins snug. I have found that the Flyers style of needle pretty good for sock legs, but when you get to the gusset there isn’t enough room on them for all the stitches. Something to think about. That’s good to know, thanks for letting us know! ← What do you want to learn this year?